Our customers spend less time waiting than any other shuttle service in Florida. Don't worry about standing in line for a ticket. Book online. We got you covered. Our daily shared shuttle service are extremely convenient when you are looking to travel accross Florida for an affordable price. Get picked up at any of our great pick up locations! Private Transportation Services are available for anywhere in Florida. This is an affordable solution for larger groups and a faster trip as well. We come right to your door and pick you up when you say so! 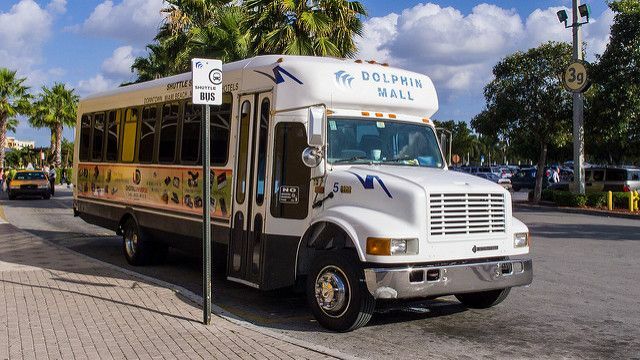 We operate two different shuttle bus services for Sarasota , FL: Our Sarasota shuttle bus transportation offers two types of shuttle bus services: Daily shared transportation and Private Transportation to our 40 destinations in Florida. Sarasota Station: 3901 Cattlemen Road Sarasota, FL *exit 207* at McDonaldsGET DIRECTIONS. Can't find your destination location? Chat with us and we may be able to get you there anyways! On my Shared shuttle Trip I wasn't sure the best way to get from the station to my friend's house. My driver helped me schedule an Uber pick-up when I arrived. He was excellent! My flight was delayed and after calling FSN they were able to have the driver wait for 15 minutes so that I could make my trip. I knew my family vacation was going to be hectic. I booked a Private Cruise Shuttle to Port Canaveral and was delighted by the driver's friendliness and professionalism. Frequently our customers travel from Sarasotato many destinations in Florida for vacation, business or to visit family. Check out our Sarasota Most Popular Trips. From Sarasota, FL Florida Shuttle Now offers both Daily Shared Shuttle or Private Shuttle Transportation, our Sarasota trips are: Bus from Sarasota to Tampa, Sarasota to Miami, Sarasota to Orlando, Sarasota to Fort Myers, Sarasota to Brandon, Sarasota to Kissimmee and more. Sarasota, FL visit the white sandy beaches, warm weather and excellent fishing piers. Besides the obvious beach activities consider the Ca d'Zan Mansion, Botanical Gardens, Mote Marine Laboratory and Aquarium to be definitely worth your time! Sarasota is to the brim with things to do. Visit live Manatee's in natural habit at the Mote Marine Laboratory, Rent stand up paddle board in the Sarasota Bay or Visit the Celery Fields natural Habitat. Take advantage of our Sarasota Shuttle Bus which is proud to provide courteous and on-time ground transportation services to all Florida major airports and seaports. Our fleet of modern, clean and reliable vehicles will get you where you need to go in a safe and comfortable way. Our Door to Door transportation service is available in limited areas. Currently, we only offer this service in Orlando, FL and Kissimmee, FL. We will be opening more areas soon. The door pick up and door drop off options are offer at your Home or Hotel within 5 miles from our stations. The times published on our website are approximate departure times from the city. This is a daily shared shuttle service which means there will be multiple stops for both departures and arrivals. If you are taking our Shared Shuttle Bus Service we understand you may not always be in walking distance. Sometimes a friend or family member can drop you off at one of our convient shuttle bus stations in town. Other travelers choose to take the hotel shuttle that often will drive you a few miles from the hotel you are staying at little or no charge. If that is not an option, for just a few bucks, Uber or Lyft is an excellent choice to get to the station for your intercity florida trip.